The No Nonsense Seminar, the Repeat! 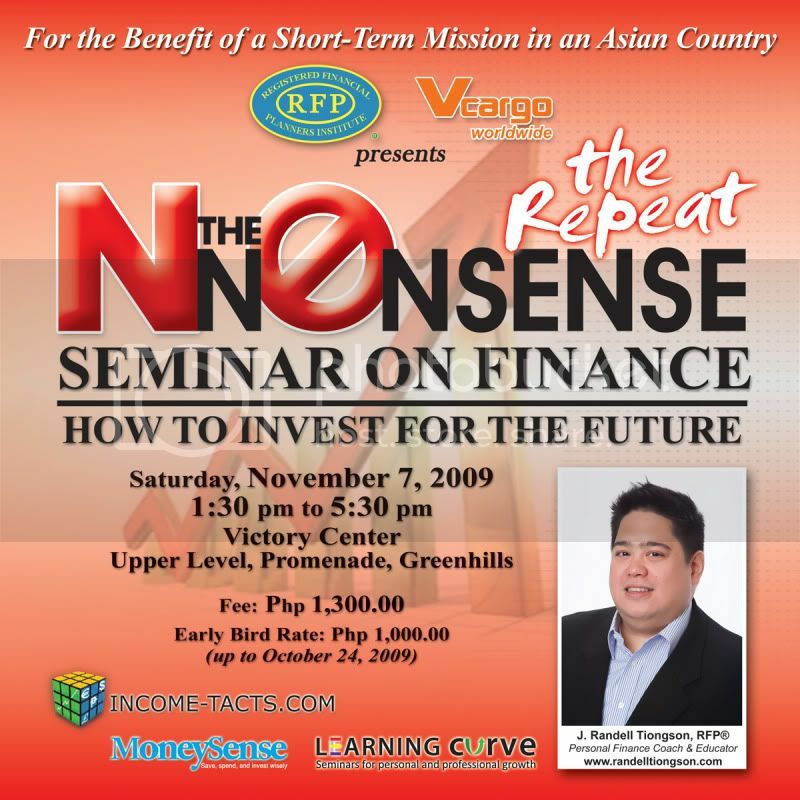 Due to some unavoidable circumstances, the New Nonsense Seminar on Finance: How to Invest for the Future (the Repeat) has a new date, November 7, 2009. To register, please send an e-mail to [email protected] or an sms to 0917-9023225.